In exclusion in spirit and no place exuberates this ideology better than Goa. Rooted in history, the rich culture inherited from the Portuguese and other historic colonizations, melt into its social fabric and create a unique richness of culture that has been well preserved till the present. Goa has, like a good Feni matured through time, and today become one of the most vied tourist destinations in the world. 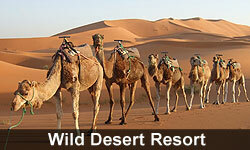 Its landscape welcomes a variety of travelers, offering experiences that range from the wild to the blissful. 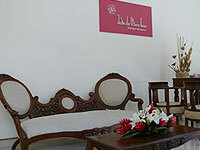 Joie de Vivre Goa offers you this experience of bliss. Nestled in the idyllic village of Nagoa, this boutique resort allows you to indulge in the quiet luxury of Goa�s yesteryear. 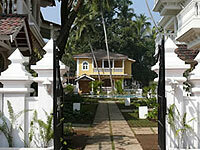 Nagoa gives you an insight into the lives of the Goan people. The rustic setting and the tranquil environs teeming with the sights, sounds and sensations of the countryside, and evoking the pastoral charm of a fast disappearing era. While allowing for that recluse from city living, hot spots like Calangute, Baga, Anjuna, Mapusa and Panjim are all easily accessible from Nagoa. Roof top terrace for conferences & small get togethers.